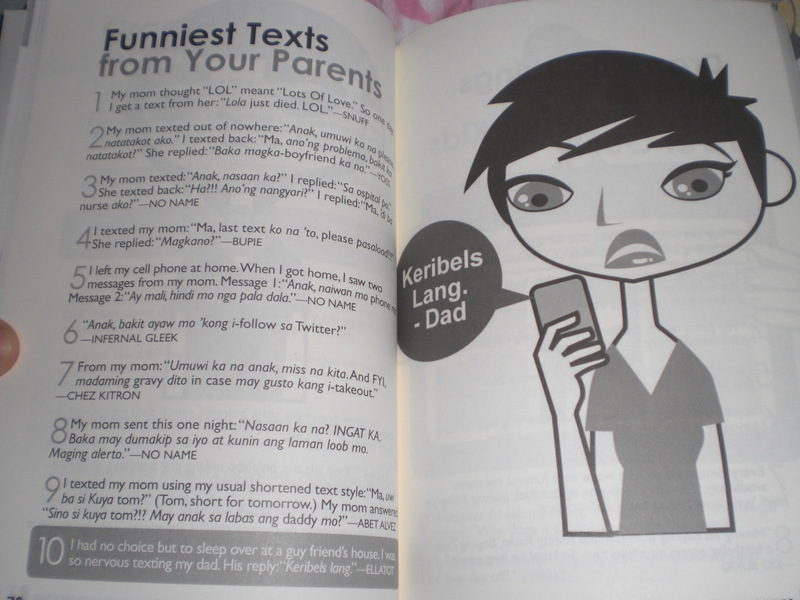 When I entered National Bookstore a while ago, this book caught my eye. I literally squealed in delight. 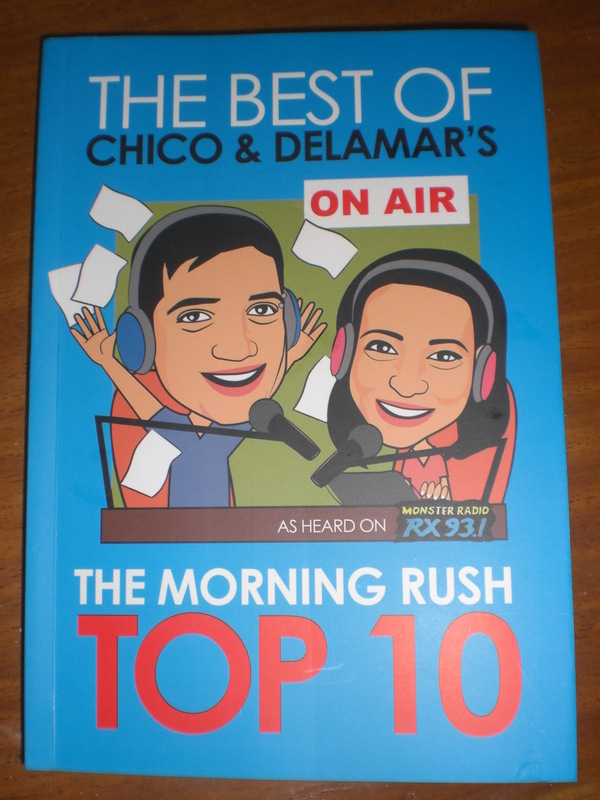 Back in the nineties, I was a big fan of Chico and Delamar’s The Morning Rush on RX 93.1. My day won’t be complete without tuning in to them every morning. I was in college back then and often times, I was always left alone in the college apartment that I shared with my sister since my class starts at 6 pm (while everyone’s going home, papasok pa lang ako sa UST College of Arts and Letters non. haha). I didn’t mind being alone the whole day though because I had Chico and Delamar to keep me company. Listening to them was like listening to your college barkada exchanging banters. I would laugh out loud at Chico hilarious commentaries. 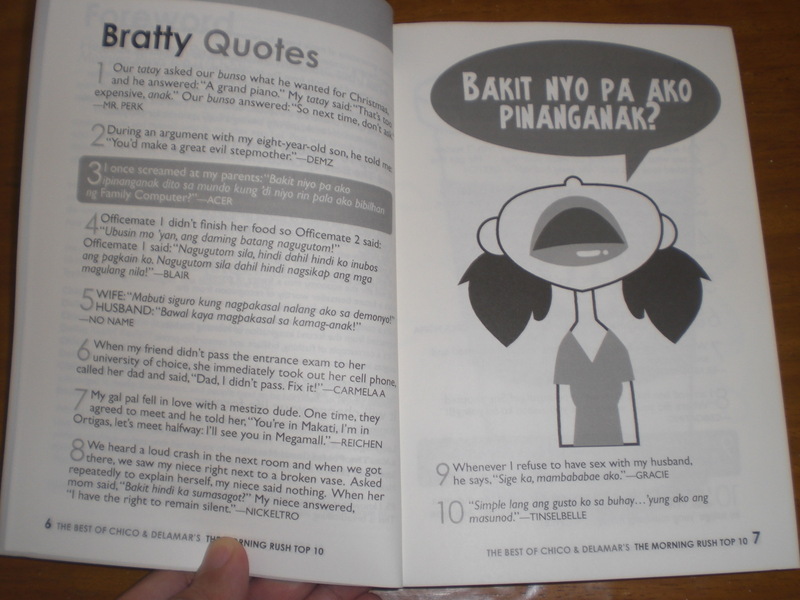 I would laugh at Delamar’s obvious embarassment everytime Chico teases her or makes naughty comments . I would literally laugh with both of them when they break out in uncontrolled fits of laughter over outrageous remarks and silly call ins. They sounded so good together that I had this fantasy that they would end up marrying each other and living happily ever after. But of course, my fantasy never happened, I learned recently that Delamar had a baby and it was not Chico’s. Anyways, their partnership on air was unbeatable. They had rapport, chemistry, connection or whatever that made them an instant hit among all genres even up to this day. Despite the presence of many radio jock tandems they still continue to dominate the airwaves. Their partnership and strong following still remain unparalled, maybe because they continue to reinvent themselves and adapt to the ever-changing media environment. 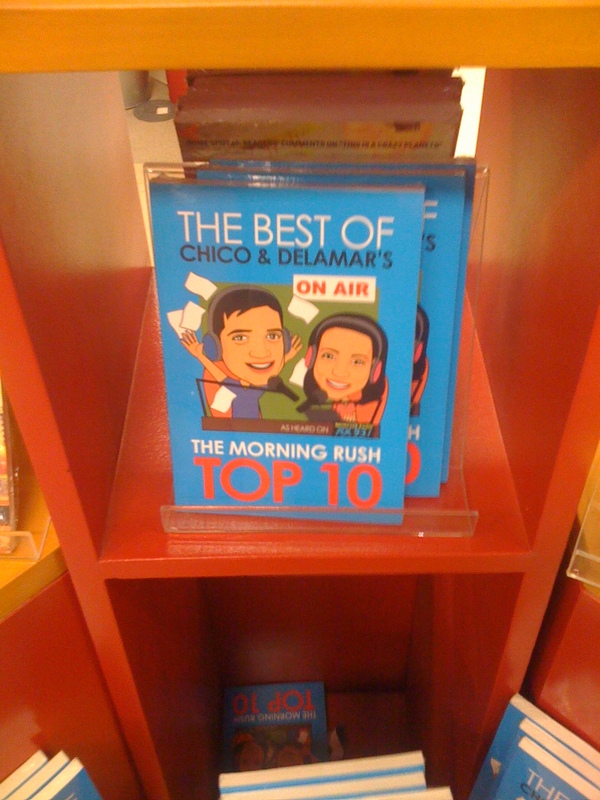 Releasing their book, The Best of Chico & Delamar’s The Morning Rush Top 10, which is a compilation of the 100 most naughtiest, craziest, most laugh-out-loud lists from their segment proves these points. 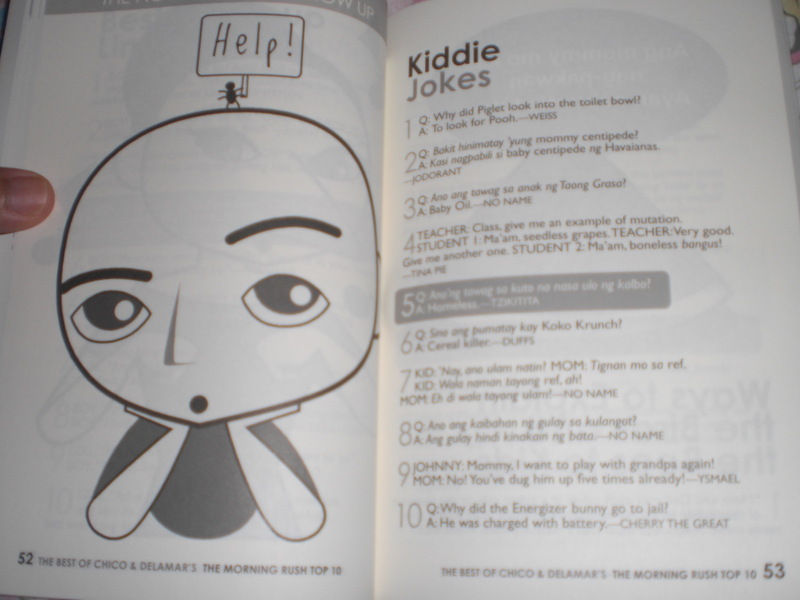 The book is also their way of touching base with their loyal fans out there who may not have the time and luxury to tune in everyday but still wouldn’t want to miss out on all those radio fun.